From even before families complete the enrollment paperwork or take the first first-day of school picture. 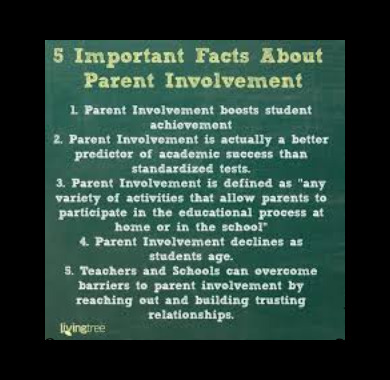 The adults that a child live with are the most influential force on that child's academic success. Parents are not the only people who can make a difference - grandparents, aunts, uncles, siblings, cousins, friends and neighbors can be a positive influence. The original article this list was copied from has a companion article called, "28 Ways to Ask Your Teens ‘How Was School Today?’ Without Asking Them ‘How Was School Today?’"